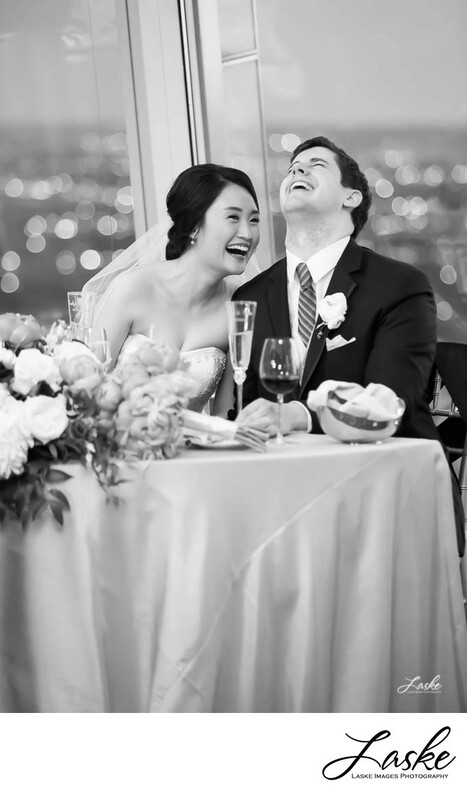 The Bride leans toward her Groom as they both laugh. They are sitting at a table at Vast in Oklahoma City with wine, flowers and champagne. Picture is sepia. 1/80; f/2.8; ISO 3200; 140.0 mm.